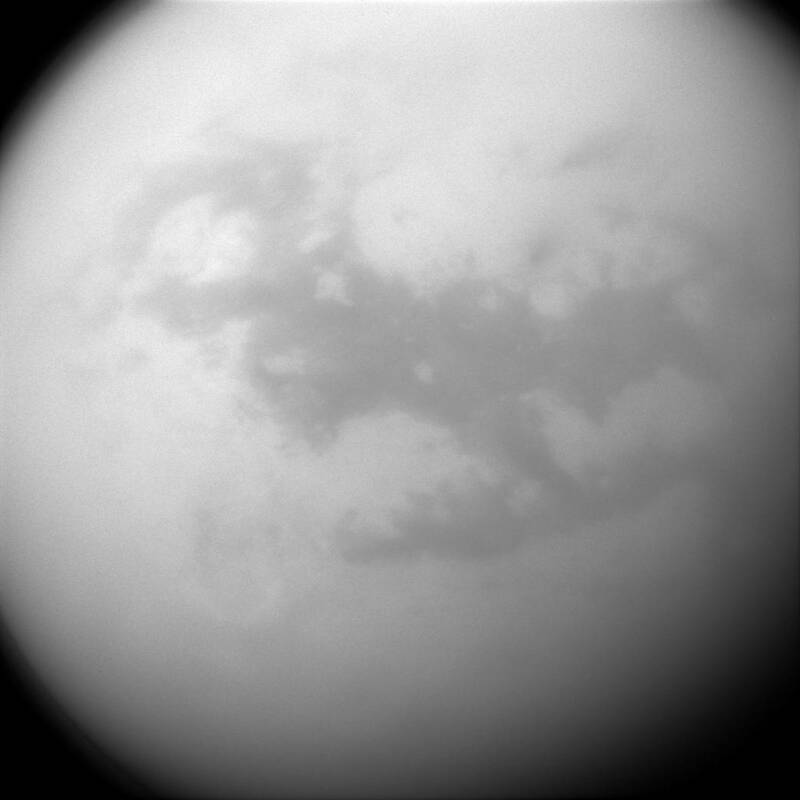 November 2, 2015 – Saturn’s frigid moon Titan has some characteristics that are oddly similar to Earth, but still slightly alien. It has clouds, rain and lakes (made of methane and ethane), a solid surface (made of water ice), and vast dune fields (filled with hydrocarbon sands). The dark, H-shaped area in the photo above contains two of the dune-filled regions, Fensal (in the north) and Aztlan (to the south). 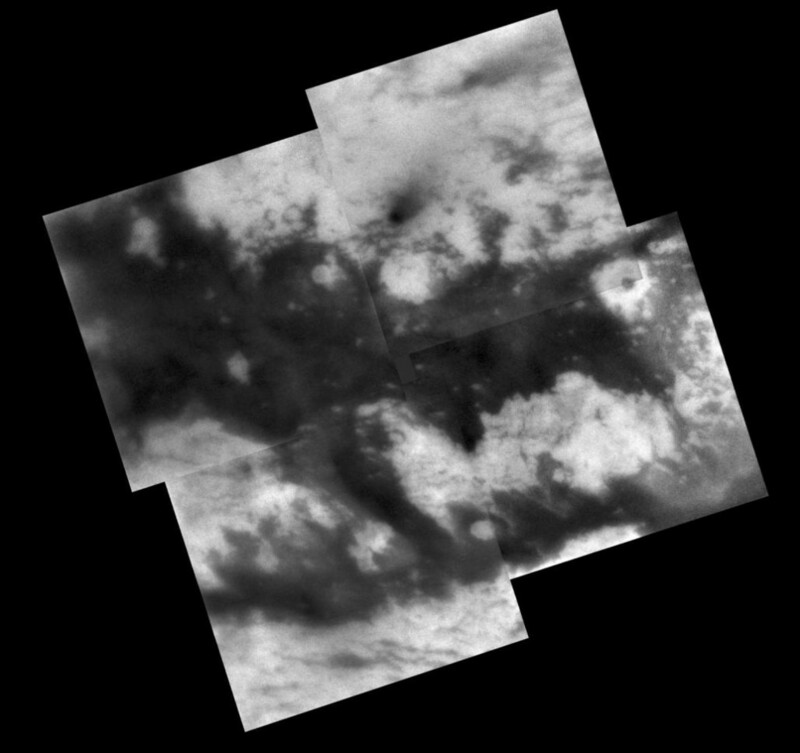 Cassini’s cameras have frequently monitored the surface of Titan (3200 miles or 5150 kilometers across) to look for changes in its features over the course of the mission. Any changes would help scientists better understand different phenomena like winds and dune formation on this strangely earth-like moon. This view looks toward the leading side of Titan. North on Titan is up. The image was taken with the Cassini spacecraft narrow-angle camera on July 25, 2015 using a spectral filter sensitive to wavelengths of near-infrared light centered at 938 nanometers. The view was obtained at a distance of approximately 450,000 miles (730,000 kilometers) from Titan and at a Sun-Titan-spacecraft, or phase, angle of 32 degrees. Image scale is 3 miles (4 kilometers) per pixel.